at work, and the extent to which they report ethical pressures. The relationship between autonomy and ethical pressures will also be discussed. 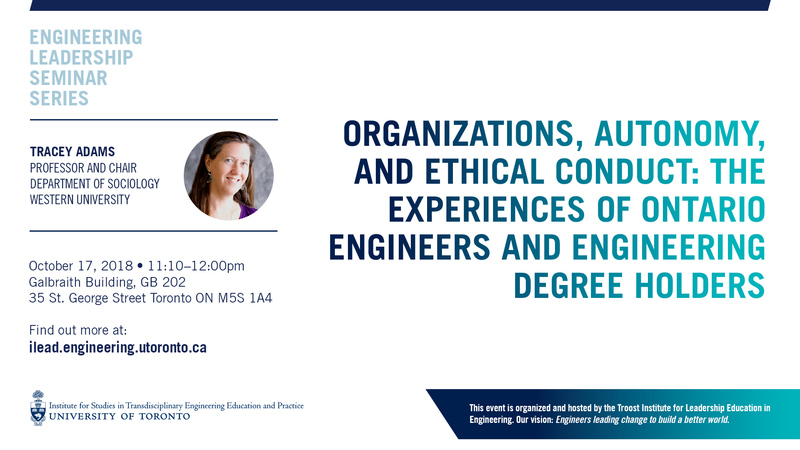 Subsequently the seminar will draw on qualitative interview data to document the kinds of pressures that engineers (and engineering degree holders) experience, and where these pressures come from. The seminar will conclude with some reflections on the significance of the findings for engineers and engineering leaders. Previous Post:ILead: Grad 2018-2019 Executive Team Recruitment!